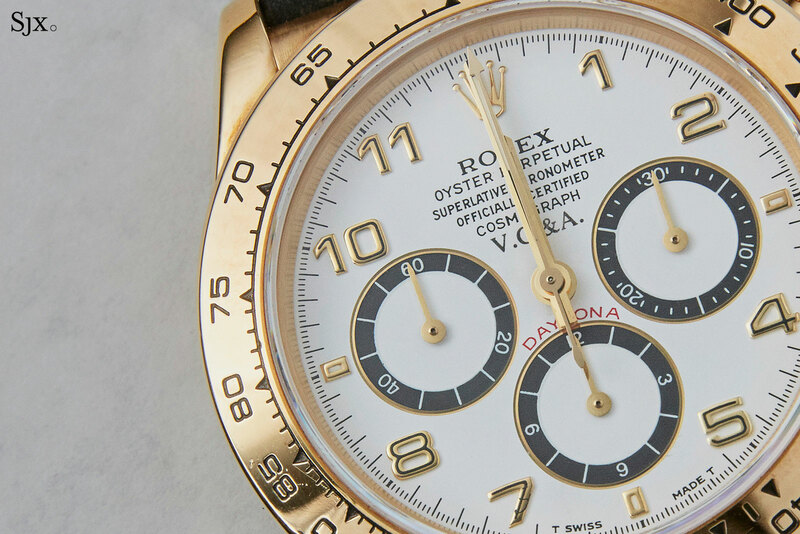 Come May 12 Phillips will stage Daytona Ultimatum in Geneva, further fuelling the fervour for the vintage Daytonas with a catalogue that is just 32 lots strong but made up of the exotic and unusual (and almost entirely manually-wound). The 32 lots could bring in almost SFr20m. Here are six of the most interesting lots. As for the ultimate picks, the market will have its say when the hammer comes down on the final lot. In the vintage watch market, to misquote Tennyson, much is taken, and much abides. In the case of “The Unicorn”, however, it’s being given away, all of it. All of the seller’s proceeds from its sale, which will tally several million francs, will go to a Geneva children’s charity. The reason why the charity will have such a good day – made even better by the proceeds from the one-off Lange 1815 ‘Homage to Walter Lange’ in steel that will be sold a day later – is the fact that is the only white gold vintage Daytona ever made (the rest are steel or yellow gold). It was made in 1970 and sold a year later, done at the request of a retailer in Germany. 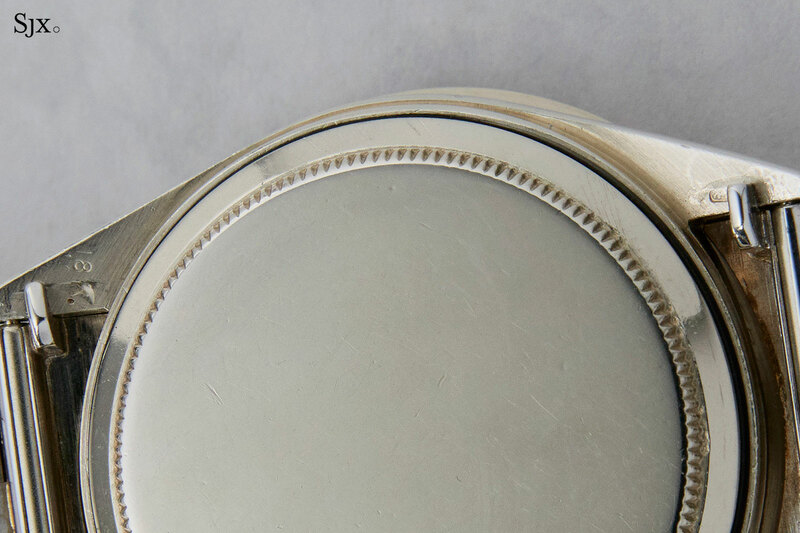 Originally sold on a leather strap, according to Phillips, it is now on a period correct, bark finish white gold bracelet taken from an Oyster Date. 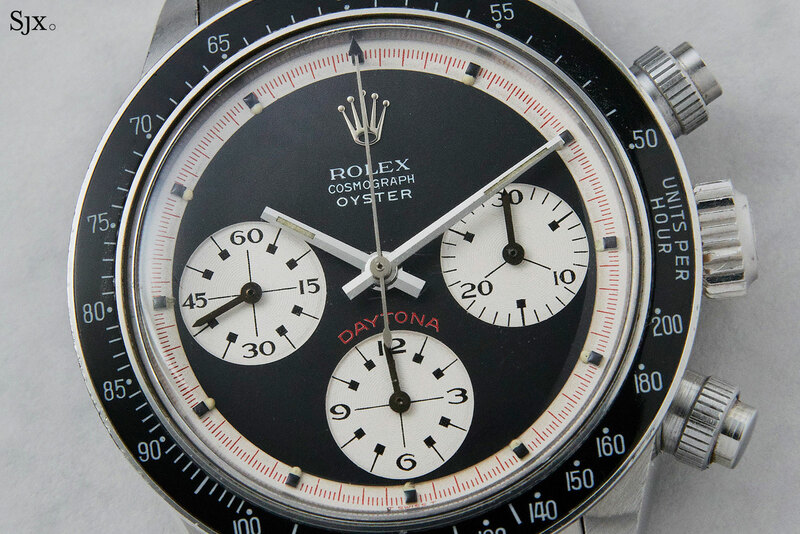 This is probably the most discreet vintage Daytona on the planet. 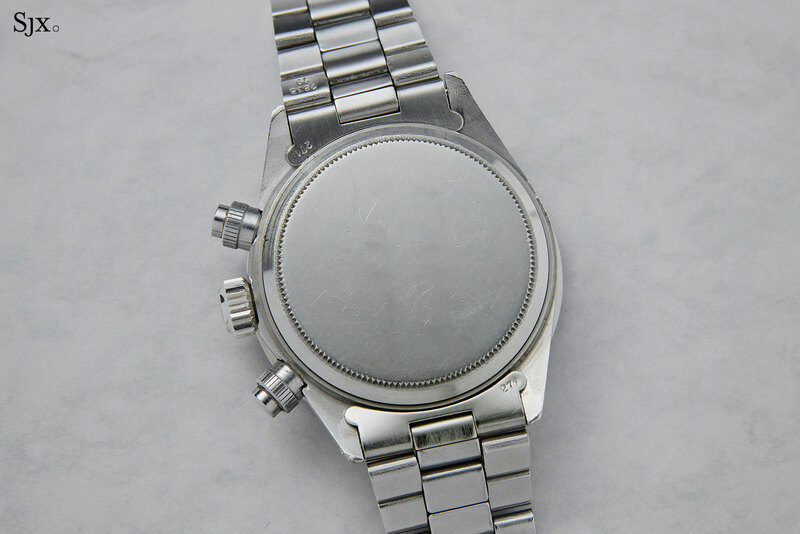 Remove the bracelet and it’s indistinguishable from a stainless steel model; the dial is exactly the same. 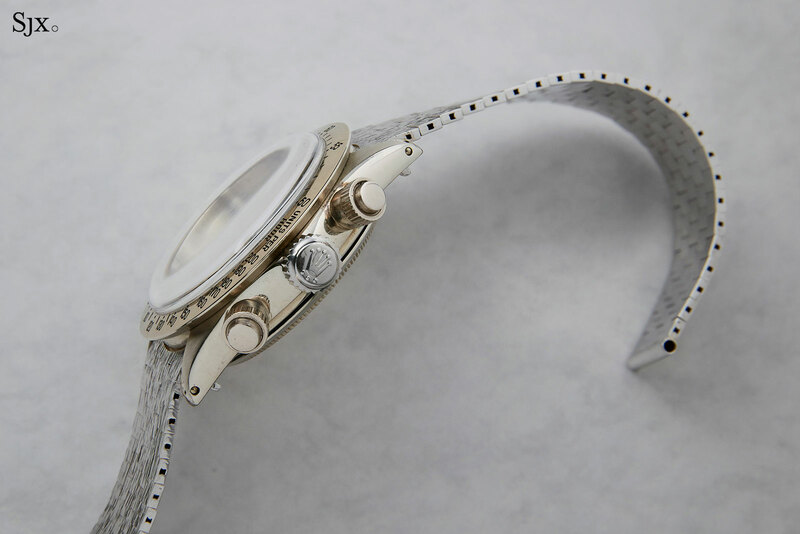 The photos of this watch reveal some intriguing characteristics, starting with the fact that the case is natural white gold, explaining the slightly golden hue. That contrasts with the silvery-white of the bracelet, a telltale sign of rhodium plating, a typical finish for white gold watches. And then there’s a detail mentioned in the condition report: the crown is stainless steel, giving it a different colour from the white gold case and pushers. 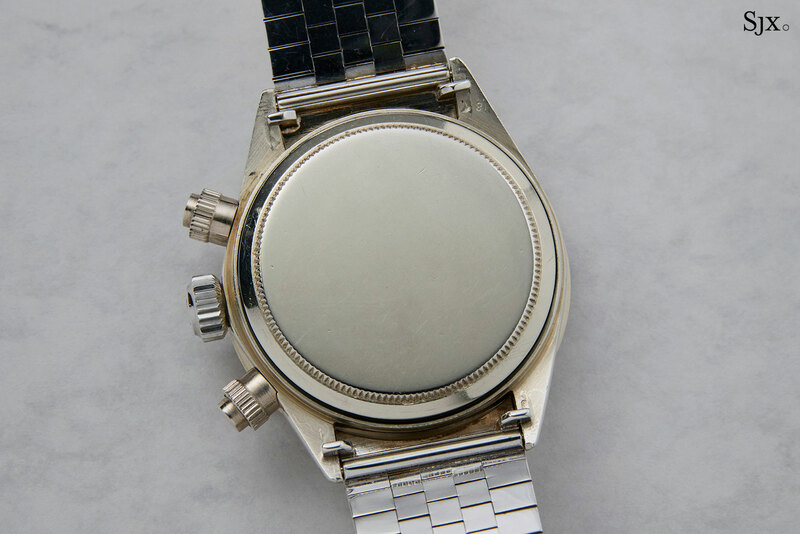 The generous gentleman who is selling this watch is John Goldberger. It’s the pen name for a watch collector from the industrial heartland of Italy who is a man of few words but many letters, having written several highly regarded books on vintage watches. 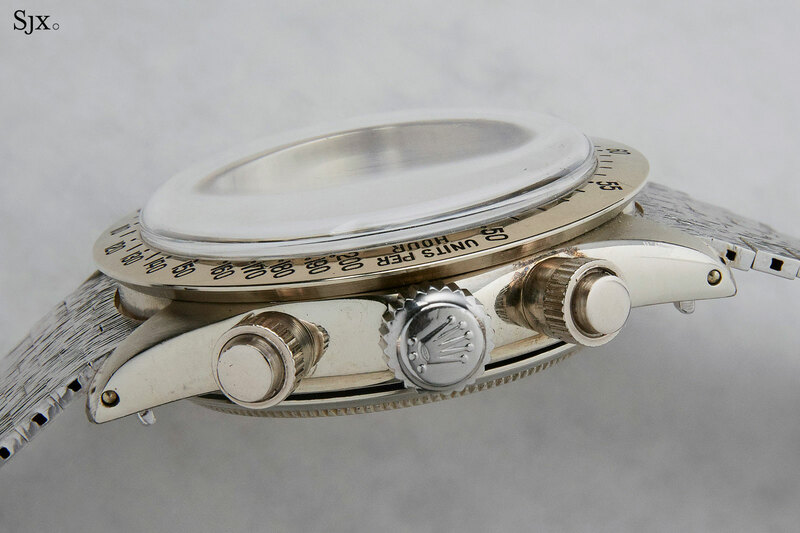 Several components of the case, as well as the dial, were replaced with period correct examples, according to Mr Goldberger in an interview he did with Phillips. He explains that the watch was fitted with later, service replacement parts when he took ownership. 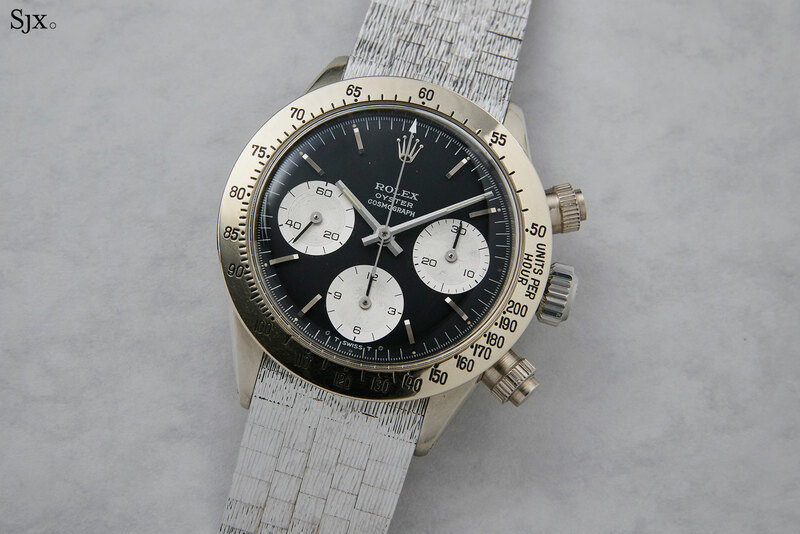 The white gold Daytona has an estimate of SFr3m to SFr5m. 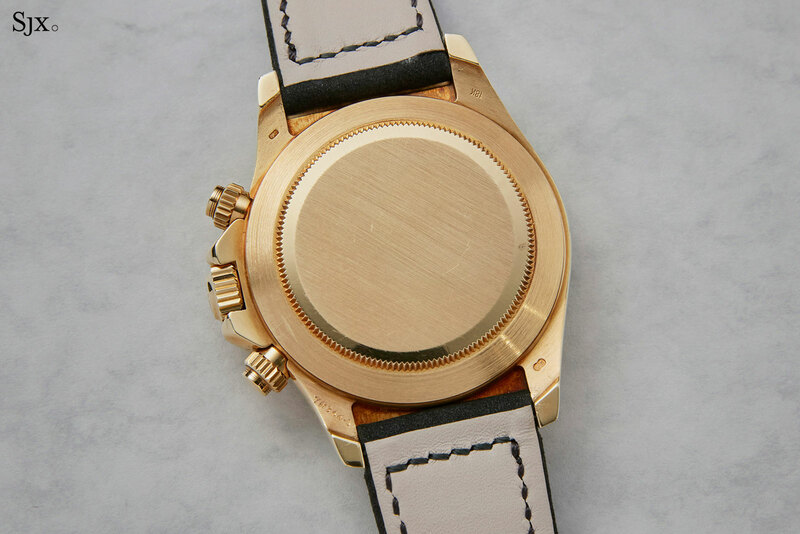 Watches are a popular gift in the Middle East, none more so than those with a sovereign or national emblem. 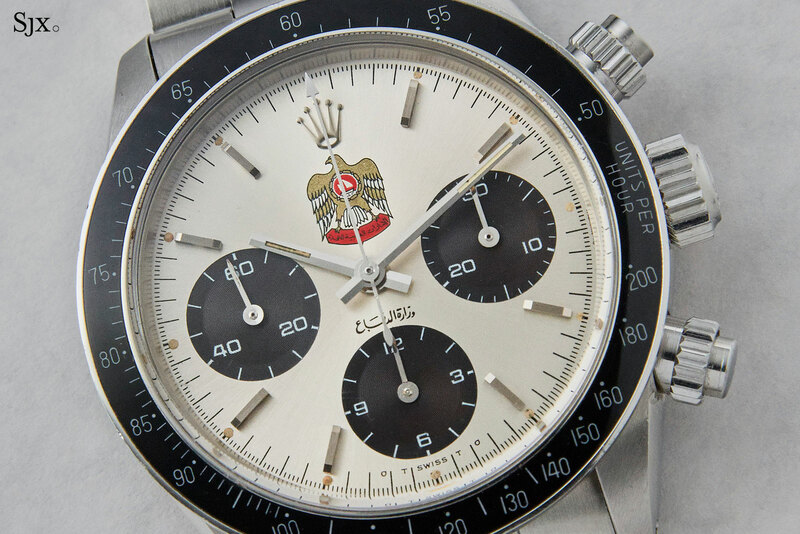 This is a 1975 Daytona that sports the emblem of the United Arab Emirates military, featuring a prominent “Hawk of Quraish”, a falcon symbol found in emblems of several Middle Eastern states and tribes. The Arabic script at six o’clock refers to the UAE armed forces. According to Phillips, it was one of a small number made for Sheikh Mohammed bin Rashid Al Maktoum, the current Emir of Dubai and also the minster of defence of the UAE, a post he assumed in 1971. The dial is nicely preserved, save for some loss of lume plots on several hour markers on its right half. This is estimated at SFr200,000 to SFr400,000. Variously nicknamed “RCO” or “Oyster Sotto”, Italian for “Oyster below”, this is a rare variant of the “Paul Newman” Daytona. 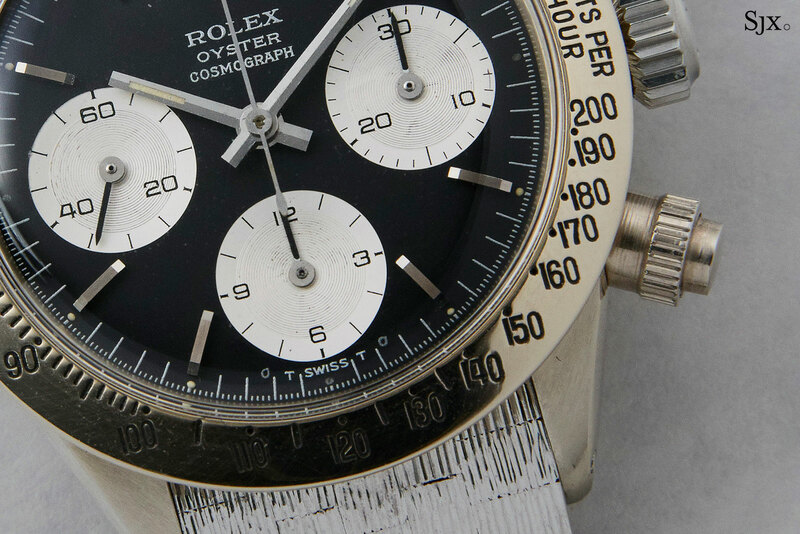 The letter on the dial at 12 o’clock reads “Rolex Cosmograph Oyster”, while subsequent Daytona ref. 6263s have the latter two words inverted. 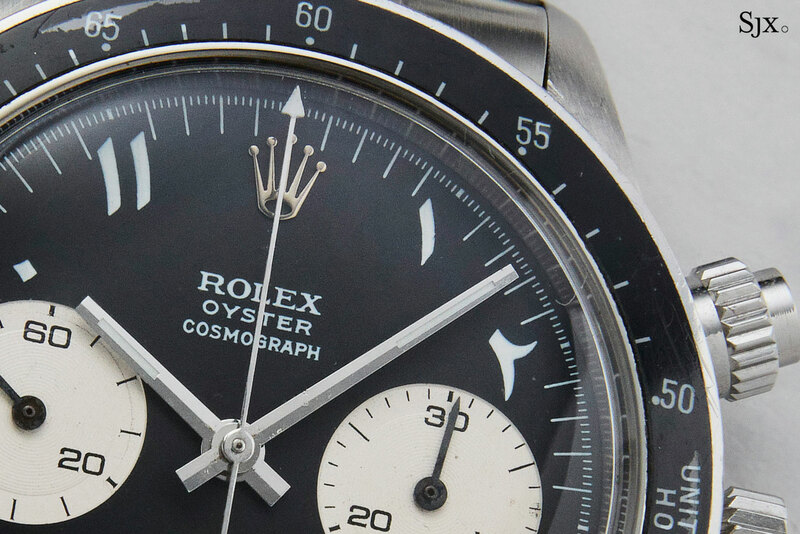 Since another example of the “Oyster Sotto” set a record at Christie’s Daytona “Lesson One” auction in 2013, the model has very much become a halo watch. This is a “Mk 1” model, one of the earliest produced. It is estimated at SFr1m to SFr2m. 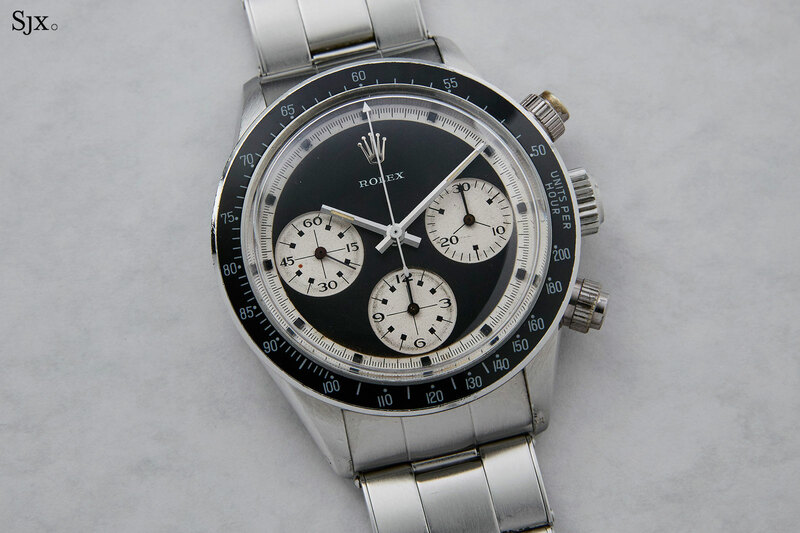 The only modern, self-winding Daytona in the sale, this is by far one of the least expensive lots, but arguably one of the most unusual. It’s retailer-signed on the dial, uncommon in itself, and by Van Cleef & Arpels at that (more common are those signed “Tiffany & Co.”). It’s the only one of its kind know according to Phillips, and also has VC&A’s own serial numbers stamped on the back of a lug and the folding clasp. The Parisian jeweller’s logo is printed at 12 o’clock, but not done crisply as the Rolex printing on the dial. In fact, it appears the printing pad for the logo dripped a bit of paint on the “7”. That is unsurprising since such signatures are always printed by the retailer or local distributor, rather than the factory in Switzerland. Modern day Patek Philippe watches signed “Tiffany & Co.”, for instance, have the added logo done in New York, rather than Geneva. 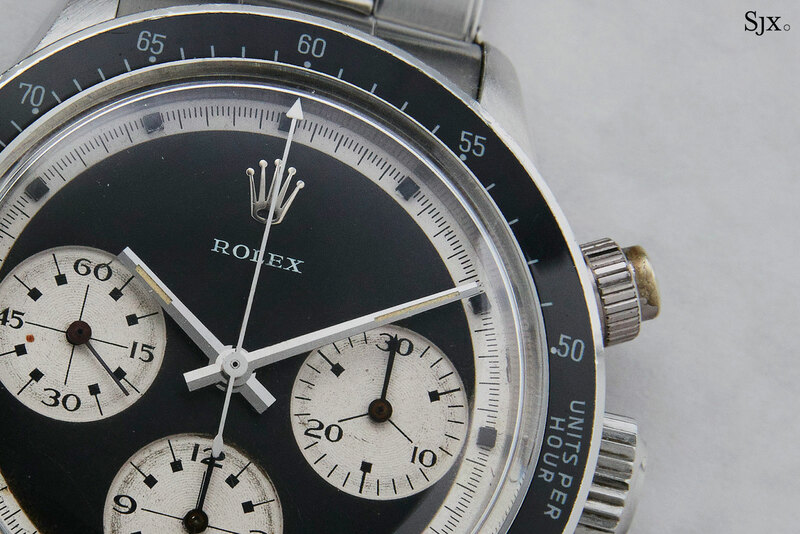 In addition to the original boxes and documents, it’s accompanied a letter from VC&A stating the watch was produced with permission from Rolex and sold in 1995. The estimate is SFr50,000 to SFr100,000. 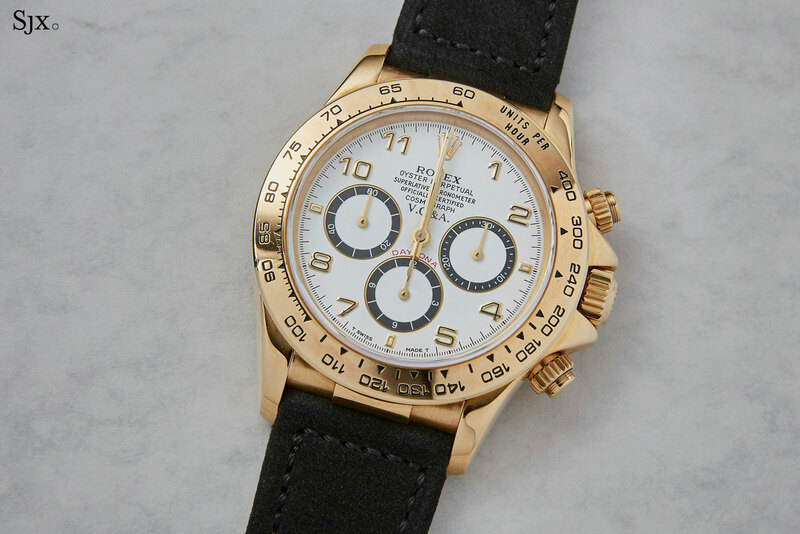 Without a doubt the most intriguing watch in the sale – a Daytona with hour numerals rendered in Arabic script. 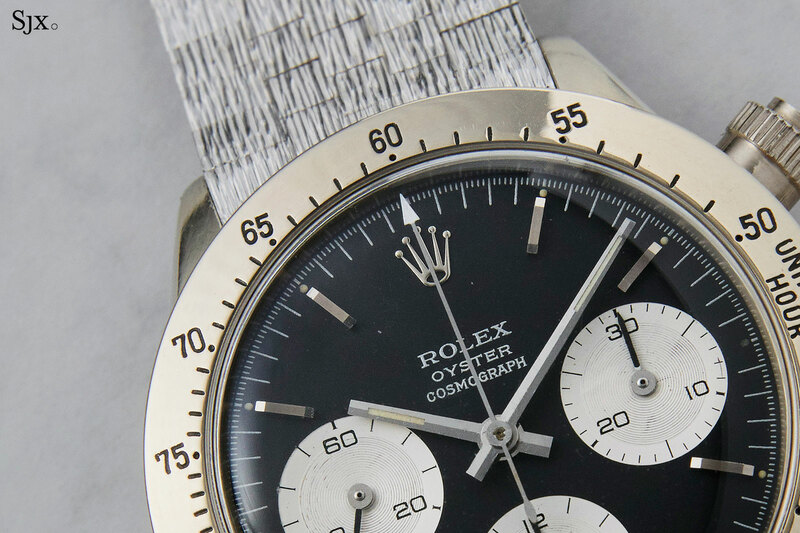 While Day-Dates with near identical hour markers are well documented, this Daytona has only been featured once in a book, and nothing similar has ever been sold at auction. 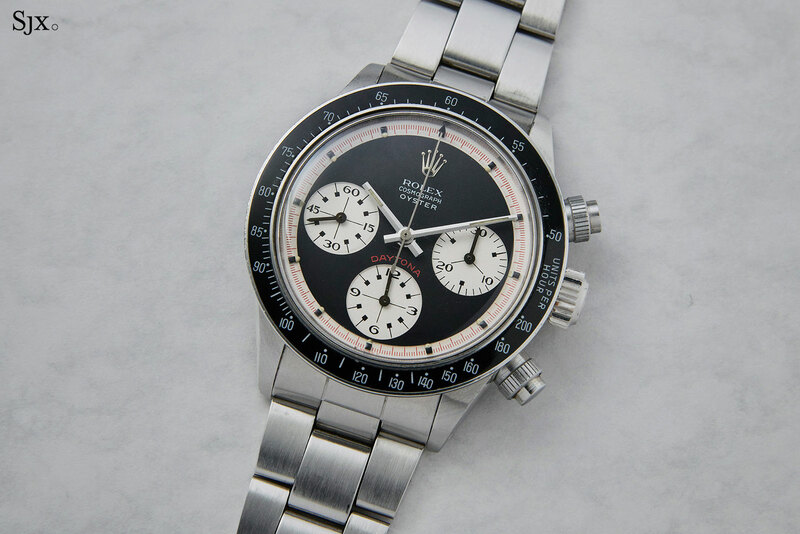 More curiously it is coming to market just a few months after Baselworld 2018 where Rolex discreetly launched a Daytona in platinum with similar Eastern Arabic numerals. Like its Day-Date 40 counterpart, that is a special edition that will only be sold in the Middle East. No official images are available, though they have been show on social media. Phillips points out two details that render the dial correct. Firstly, there are no holes in the dial for applied markers. 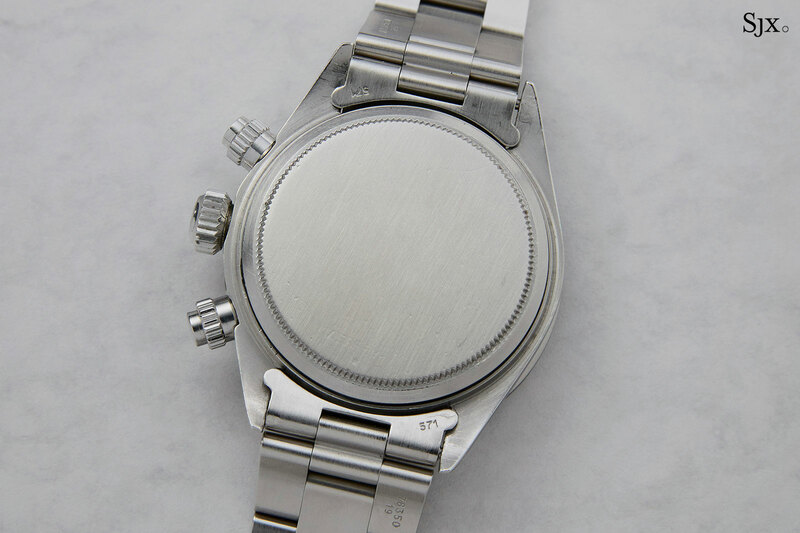 And at the same time there is no damage or modification to the feet of the dial, tiny pins that hold it to the movement. Notably, the Arabic numerals are printed in white lacquer, without any tritium on top. In contrast, the hands are stock, with the usual tritium filling. The hour markers and hands on the current day platinum version are similar: Super-LumiNova on the hands and only the quarter hour markers. 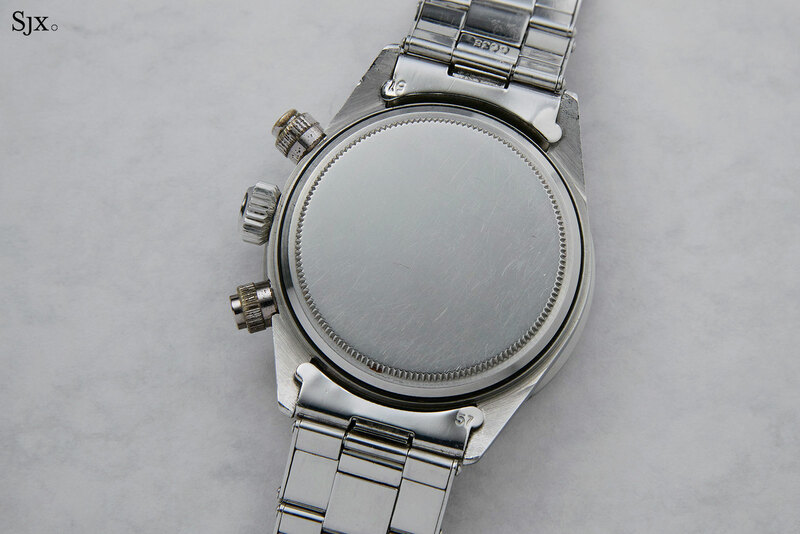 The “Sigma” logos at six refer to the white gold crown at 12 o’clock. While this already has a big number for its estimate, it has the potential to go even bigger. The estimate is SFr1.5m to SFr3.0m. 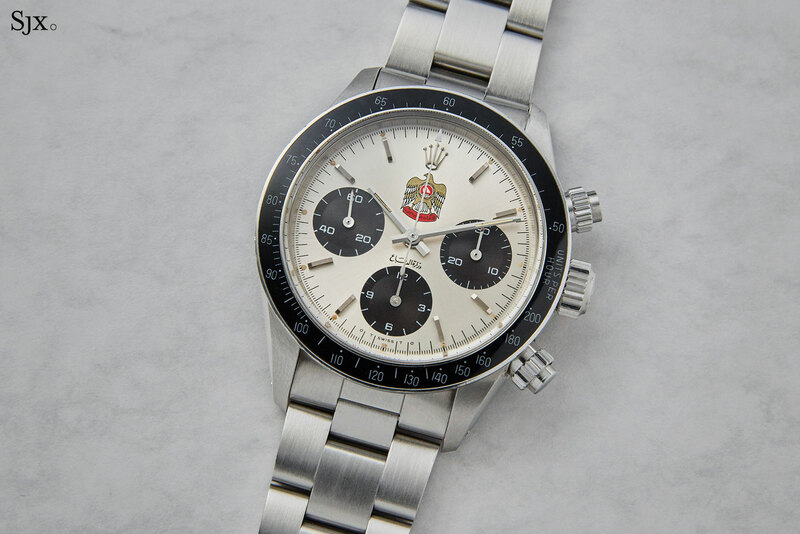 Nicknamed “The Neanderthal” because it is regarded as the ancestor of the Daytona “Paul Newman”, this 1966 watch is distinguished by its unusual dial. 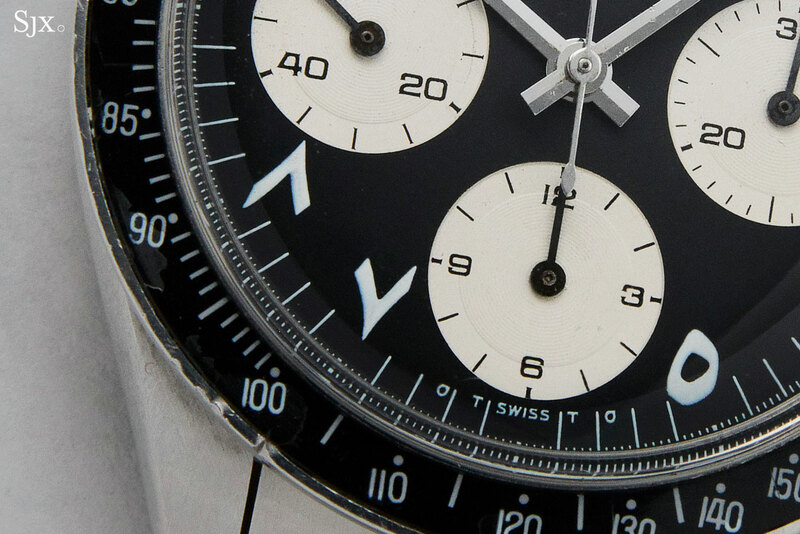 To start with the monochromatic black and white colour palette is unique, as are the larger than usual chronograph registers. And then there is the lack of lettering on the dial, which just has the logo at 12 o’clock. Together they give the dial a peculiar, plain appearance. 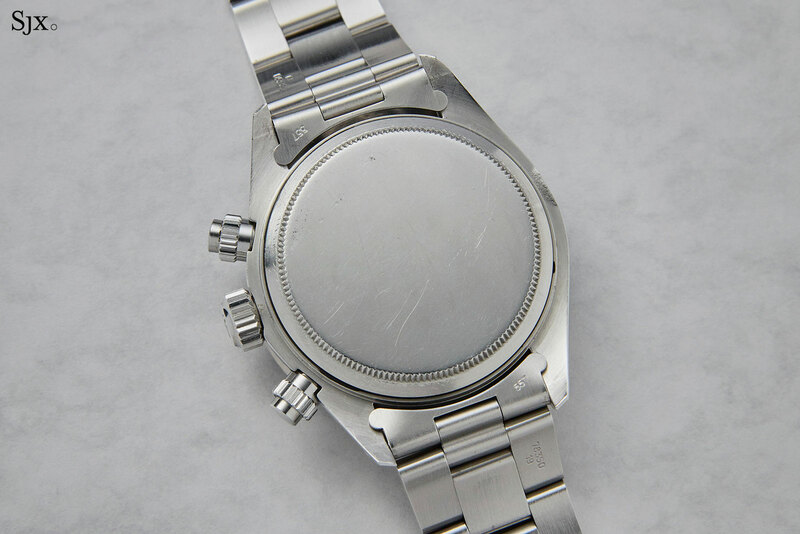 Unlike most of the other lots in the sale, this watch looks its age, with worn pushers and discoloured sub-dials. 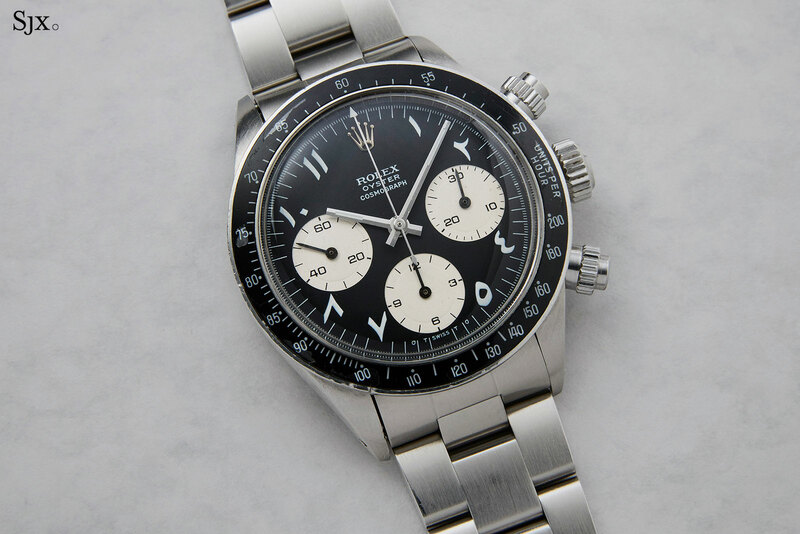 This “pre-Paul Newman” is arguably significant in the history of the Daytona, explaining the SFr2.5m to SFr5.0m estimate. 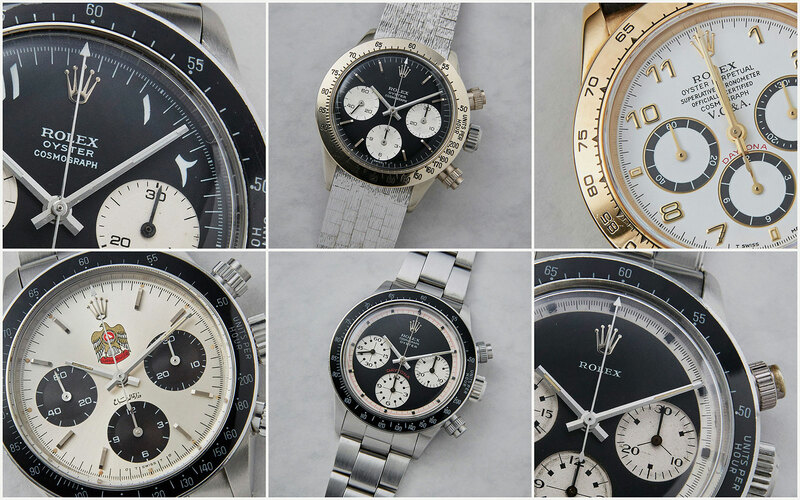 All lots in The Geneva Watch Auction: Seven will be on show from May 10 to 13. The exhibition is open to the public and takes place at La Reserve Hotel. The auction happens over two days, May 12 and 13, at the same venue. The full catalogue is available here. Addition May 11, 2018: Included John Goldberger’s interview with Phillips where he explains several parts of the white gold ref. 6265 were replaced with period correct components.